I have loved British crime dramas for as long as I have been allowed to watch post-watershed television. As a young teenager I bonded with my dad over a shared love of Taggart, Wexford, Prime Suspect and Cracker (my dad’s one of those annoying people who can spot the killer the second they appear on screen). These days, I love Silent Witness, Scott and Bailey and The Line of Duty. My favourite television detective of all time is the enigmatic, wonderfully arsey genius DCI Peter Boyd from the Cold Cases unit. I don’t think I will ever get over Waking The Dead being cancelled. She was right, there were obvious similarities; like my own books, Broadchurch was big on atmosphere, character and sense of place. Those luminous amber cliffs watch over everything, almost a character in their own right. a similar a sense that this story could only happen here is fundamental to my own books. 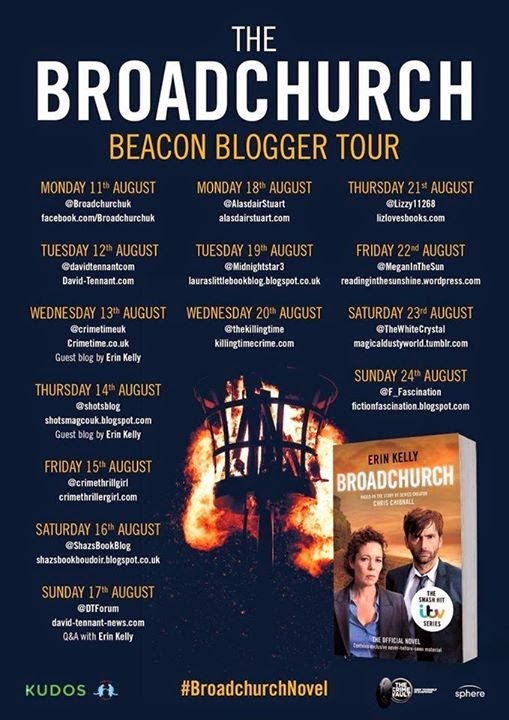 I write psychological thrillers rather than detective novels, and although Broadchurch is technically a police procedural, it is very strongly rooted in character. 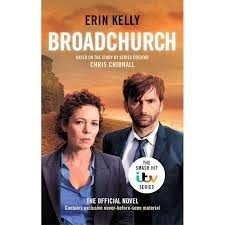 It would be months before I got the email from my agent saying that the Little, Brown publishing group were looking for an author to turn Broadchurch into a novel but when I did, that text from my sister chimed in my mind. I already had a fan’s keen sense of possessiveness; now I felt very strongly that this project was mine. But it wasn’t going to be that easy; I had to ‘audition’ for the role, turning the first act of the drama (the fifteen minutes before the first ad break, ending on the heart-breaking scene where Beth Latimer finds her eleven-year-old son’s body on the beach) into a novel. I hadn’t wanted anything so badly since I was angling for my first book deal. When I got the call to tell me I had been chosen, I actually sang with happiness. I wrote the book with a strange mix of liberty and pressure. Liberty, because as someone else had already laid the plot for me, and provided me with reams of flawless dialogue, I was free to indulge my favourite aspects of writing; getting the language and the characterisation spot-on. Pressure, because I knew that there was an army of fans out there who would not forgive a single slip-up. Broadchurch geeks (‘Broadies’, as some of them refer to themselves) love with depth as well as breadth. The internet is awash with conspiracy theories, fan sites, even fan fiction (some of which makes Fifty Shades of Grey look like a Ladybird book, but we won’t go into that here). Whilst this hunger for all things Broadchurch was occasionally intimidating, I had to ignore it. My responsibility isn’t to the fans, or the actors, it isn’t even to the series creator Chris Chibnall. It’s to make sure the novel makes sense and is compelling even for readers who (by some miracle) haven’t seen the TV show. A friend of mine –a big hairy bloke, who’d never seen a single episode of Broadchurch – read an early draft and cried his eyes out twice. I have never been so delighted to see a grown man cry. More information about Erin Kelly and her books can be found on her website. She can also be found on Facebook and you can follow her on Twitter @mserinkelly. Nice sharing friend! The Broadchurch is a British television crime drama. You have converted into a book. It is amazing for me because I’m big lover of book reading. I mostly use the book during my tour and free time. I never see this drama and also not read books. After reading your blog I want to read them during my boston new york washington tour. I hope it is amazing for me also informative. You are doing a good work. Keep it up.